It might be cool outside, but it’s toasty warm inside and the views of the harbour are the ideal backdrop for a winter meal. 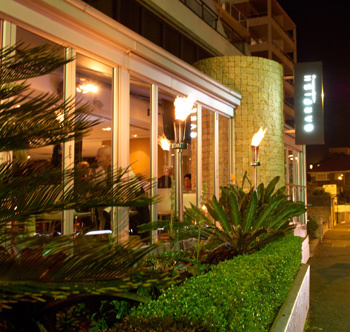 Whether it’s a group of friends set on a night out or an intimate dinner for two, Garfish Manly has something for everyone. You don’t even need to go home first. Simply step off the ferry after work, out of the cold and into our bar area, then relax until you’re ready for your meal. Read on for an introduction to our winter 2013 menu in Manly and get a feel for what’s waiting for you when you next visit! When you’re done, check out the full menu for Manly here. This simple, elegant entrée is perfect for the cooler weather. Prepared New England style, the corn is folded into the soup and the mussels contrast the sweet corn flavours. Topped off with the texture of the croutons it’s a starter that’s sure to satisfy those winter cravings. This dish is cold but won’t leave you feeling that way with its rich flavours. The duck is flaked and layered with the shitake mushrooms in a jam jar along with the baby pickled cucumber and crostini. It’s perfect to share so everyone can enjoy a taste. You can’t go past seared scallops, and in this preparation it’s an honest, robust dish to suit the season. The smoothness of the cauliflower puree, combined with the black pudding and hazelnut flavours, makes for an enticing entree. 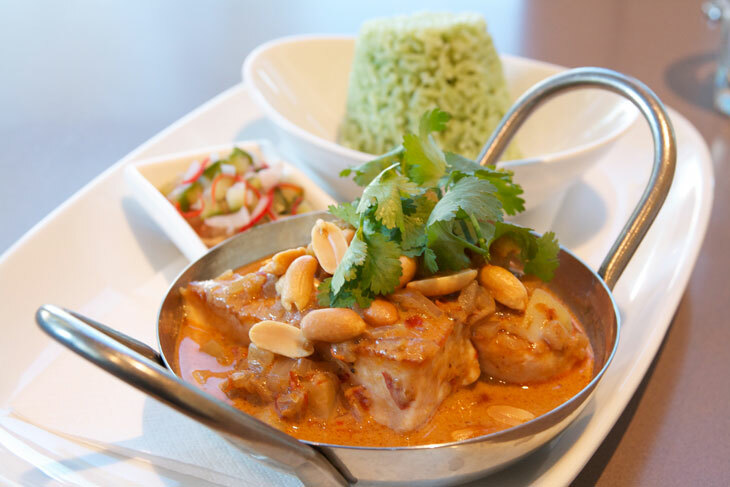 Nothing says winter like a good, warming curry and Manly’s authentic massaman fish curry won’t disappoint. The dish is prepared in a Thai manner, and by this, we mean it’s prepared by our very own Thai chef! The dish is not too hot and nicely balanced by the sharpness provided by the layers of peanuts and pickled cucumber. It’s a great way to enjoy fish in a flavoursome, winter style. This pudding is light and not too heavy, the perfect base for the sweetness of the golden syrup. Combined with the sharpness of the rhubarb ice cream, this dish marries sharp and sweet effortlessly and will definitely have you wanting more. This post is part of our winter 2013 menu feature, read more about what’s available at other Garfish Restaurants.